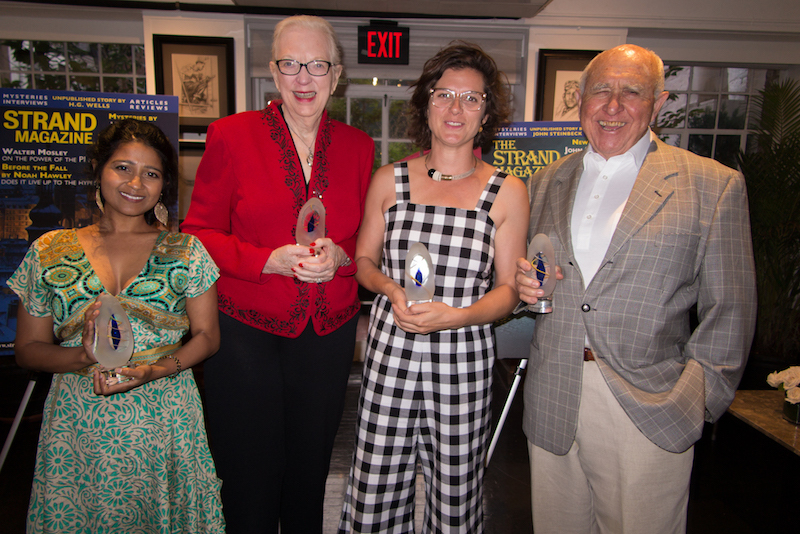 On Wednesday, July 11, at an invitation-only cocktail party in Manhattan, Ivy Pochoda won the Strand Critics Award for Best Novel for Wonder Valley (Ecco) and Sheena Kamal won the Best First Novel award for The Lost Ones (William Morrow). And, J.A. Jance and Jonathan Gash were awarded Lifetime Achievement Awards for their contributions to the genre. 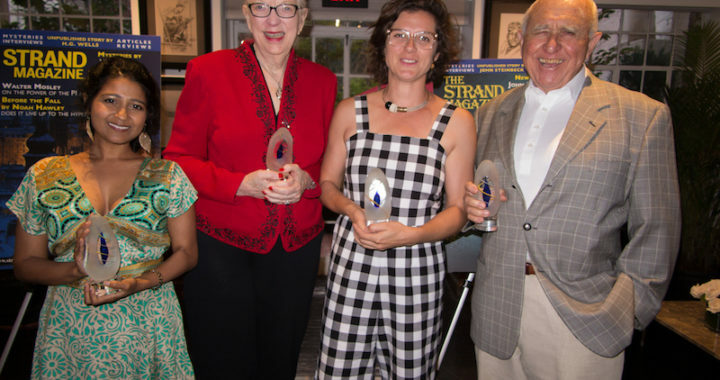 Ivy Pochoda took home the top prize for Wonder Valley a timely thriller which addressed the issue of homelessness in Los Angeles, “I am thrilled and delightfully surprised to have won The Strand Award,” said Pochoda. “It’s not just an honor, but a wonderful affirmation of the warmth and acceptance I’ve received from the mystery community. Sheena Kamal burst onto the scene last year with her debut novel The Lost Ones a suspenseful missing-person thriller, which received rave reviews from critics. “I was stunned when my name was called as winner of a Strand Award for Best Debut Novel, and I’m still stunned today,” said Kamal. “Thank you Strand Magazine for this incredible honor, and for all you do to support the mystery community. J.A. Jance was recognized for her contributions to the field of crime fiction with the Strand Magazine’s Lifetime Achievement Award. Since her debut J.P. Beaumont novel Until Proven Guilty was published in 1985, Jance has earned the reputation as one of the most prolific and inventive practitioners of the modern crime novel. Her books have been translated in over two-dozen languages and have sold millions of copies. Jance was on-hand to accept the award and paid tribute to her family for encouraging her to read from a very young age. Jonathan Gash received the Strand’s Lifetime Achievement award. Gash is the author of a highly successful series of Lovejoy books, which were notably adapted as a popular TV series starring Ian McShane. In addition to his successful writing career Gash is noted doctor of tropical medicine and authority on antiques. Gash published his first novel The Judas Pair in 1977 which featured the loveable rogue Lovejoy and has gone on to write nearly two-dozen novels. The Critics Awards were judged by a select group of book critics The LA Times, NPR, O, The Oprah Magazine, The Wall Street Journal, and the Washington Post.